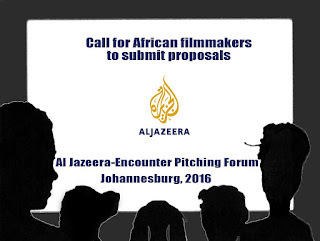 The Encounters South African International Documentary Festival, in partnership with Al Jazeera, is calling African filmmakers to submit proposals for the Al Jazeera-Encounters Pitching Forum taking place in Johannesburg on Saturday, 11 June 2016. The deadline is this Friday, 27 May 2016. A maximum of 12 African filmmakers will be selected to pitch to Aloke Devichand, a senior commissioning producer in the documentaries department at Al Jazeera English. Devichand focuses on the channel’s flagship character-led strand, Witness. Before this he helped launch a short docs strand for Al Jazeera’s digital startup, AJ+, which has become one of the world’s largest social media video publishers. Previously Aloke worked for CNN International, and for production companies making films for the BBC and Channel 4. He holds a BSc in Management from the London School of Economics and an MSc in International Public Policy from University College London. The call is open to projects at any stage of development or production. Each selected filmmaker will have a maximum of seven minutes to pitch their film, with an additional seven minutes allocated for feedback and questions from Devichand. The pitching forum has been highly successful in creating opportunities for filmmakers. Last year Al Jazeera commissioned two one-hour documentaries from projects at the forum. - One page of further background information and/or visual treatment of the subject. - Links to previous works and promo of proposal, if available. - Any submissions that do not follow the strict page limitations will be disqualified. 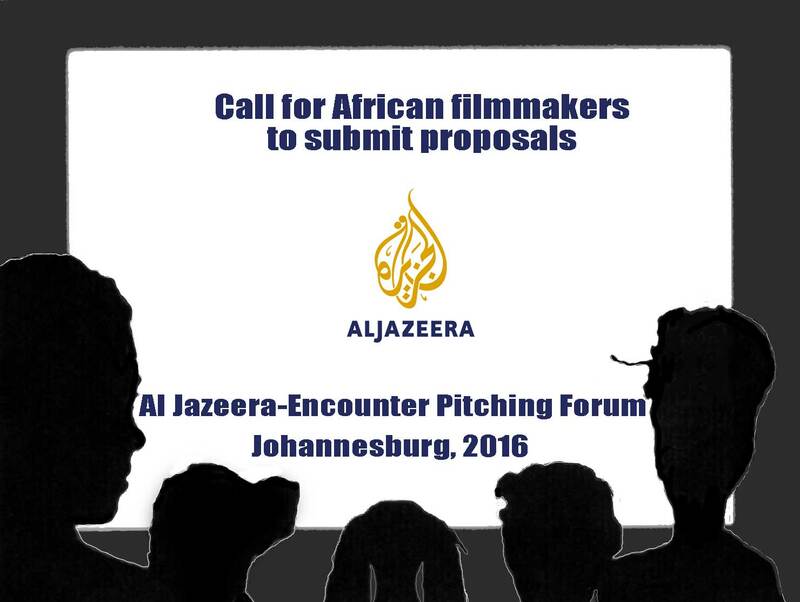 Email this to pa@encounters.co.za with Al Jazeera Pitching Forum in the subject line. Submission deadline: On or before 4pm (South African time), this Friday, 27 May 2016. - There are non-strand slots for series and stand-alone documentaries of half hour and hour durations which are commissioned, acquired or co-produced. These documentaries should be by, about and from a range of people, places and perspectives, challenge dominant views and seek to reflect the human experiences and stories behind current affairs in our docs. - There are also weekly strands which commission ‘reportage’ - journalist-led investigative programmes, like People & Power and occasionally Africa Investigates. Al Jazeera English is an international news channel, with over sixty bureaux spanning six different continents. Established in 2006, it has continued to grow in reach and popularity due to its global coverage, especially from under-reported regions. The channel currently broadcasts to over 250m households across 130 countries. Its in-depth approach to journalism has won numerous awards and plaudits over the years, including RTS News Channel of the Year 2012, Freesat Best News Channel, the Columbia Journalism Award, a DuPont award, and a George Polk award. Al Jazeera is one of the world’s leading media corporations, encompassing news, documentary and sport channels. It was the first independent news channel in the Arab world dedicated to covering and uncovering stories in the region. It is now a media network consisting of over 20 channels – Al Jazeera English, Al Jazeera Arabic, Al Jazeera Balkans, Al Jazeera Sport, Al Jazeera Mubasher, Al Jazeera Documentary, the Al Jazeera Media Training and Development Center, and the Al Jazeera Center for Studies. For more information, visit www.aljazeera.com.